Computer generated animation - .Film and Video Workshop..Film and Video Workshop. This high quality one-day workshop will enable children to approach computer animation in a fun and simple way. Children will use the software Flash and its most common tools to design a character and a background, and then to animate it using keyframes and shape tweening techniques. 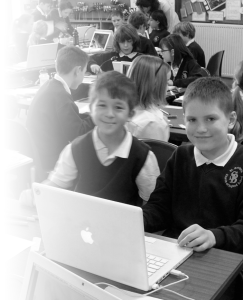 The children will be shown Action Script to make their animation interactive and introduce them to computer programming and game design. We will provide 16 laptops and students will work in pairs to create their unique animations. The children will learn how programming can create interactive animation that is used in web applications. The work will be uploaded online and available for the children to watch and share via their social networks. All tutors are CRB checked and trained in child protection, equal opportunities and good classroom management. They are professional animators who are passionate about teaching and have at least five years experience working with children in school. This workshop is designed for Key stage 2 and can be adapted to fit into your curriculum areas Contact us for details.